In our latest series of life encounters we bring you “Stephs” story. Remember, all our published story articles are from real people who are willing to tell their own story on how mobile technology has been used in a real life situation such as personal relationships, parenting or at work. We start with how a secret SMS tracking device installed on a cell phone helped Stephanie prove that her husband was not being faithful to her. Although some parts of this story are still upsetting for Steph, she has found by publishing her story online helpful in coming to terms with her ordeal and now looks to the future with new hope. Let’s begin…. Stephanie, thank you for agreeing to share your experience with the readers of this website – can you first tell us why you suspected your husband was seeing someone else behind your back? S: I had been married for 6 years, at first our lives were great and we were both very happy. 10 months ago we moved to Chicago for a fresh start when my husband got promoted at work, I guess I first suspected when something was wrong was about 2 months ago when he was making excuses about staying late in the office. HS: How did this make you feel? S: Looking back now I was in denial. Whatever excuse he made I just always thought about giving him the benefit of the doubt even though my gut feeling was telling me he was up to something. One day I asked him why he was always staying late in the office he just said it was the pressures of the new job and that he had to stay late to impress his new boss. I was a stay at home Mom with a pretty low self-esteem – I found it incredibly difficult to confront him when he was going to work to provide for our family. It took me around 4 weeks after this to take matters into my own hands and try to gain some control of the whole situation. HS: So what was the plan and how did you implement? S: To get undeniable proof of his cheating was my only concern. At this point we were fighting and arguing a lot and he was being very defensive and very possessive about his computer and mobile phone. One day his phone flashed with a message and I went to pick it up because it was on the kitchen surface and he snapped and grabbed it off me. We had a huge row and I accused him of cheating there and then on the spot. Once again, he denied everything and from that point we slept in separate rooms. The next day after he went to work, I searched online and read about all the stories and this website came up. I read through everything and decided that for the sake of my own sanity I needed to catch my husband cheating on me. I was going to do this by installing a cell phone tracker. HS: That’s a big call. In terms of the physical process involved, were you worried it might be difficult to install the app by yourself? (editor: The number one question we get through our contact form is from people who ask “are cell phone trackers easy to install?”). S: I must admit I was worried that I would mess up because I knew I only had a limited time where I could get access to his phone, probably late at night when he was asleep. 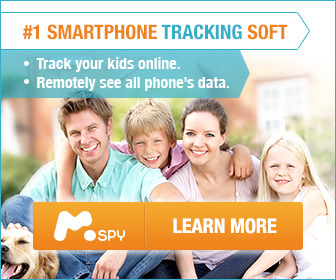 I read through all the reviews and decided that the spy app mSpy would do everything I needed. I wanted to trace his movements, read his text messages and find out if he was speaking to anyone on the phone. He has an iPhone – I double checked everything to make sure the app would work. I even called up the company and asked them and I have to say there were most helpful and understood my personal situation. The guy on the phone went through everything and put my mind at ease. You have to remember that this was a very stressful situation so having someone to speak to was very important. In the end I installed the app through the link I was given (I signed up for a year’s licence which was around $90) and it was done. It took around 5 minutes, that’s all. I had a login from the website so I could access his movements and all his mobile activity. HS: So, putting emotions aside for one moment, were you impressed with mSpy and would you recommend them? S: The solution worked for me, and it’s funny because now I can track my kid’s phones using the same service. What I like most about the app is the way you can easily log in to your control panel and view all the tracked data. It’s like something from a spy movie – phone calls, emails, web browser activity, SMS, social media including Facebook and Instragram. HS: So what happened in the end, did your situation come to a resolution? S: Yes. I found out my husband was seeing a work colleague they would text each other several times a day and meet up at lunch time. It made me feel very unhappy and physically sick but I had hard evidence and now we are going through divorce because of his infidelity. No woman should put up with being messed around and although at the time, what happened to me was very hurtful I’m sure I would lost my sanity if I had let the situation go on any longer. The app served its purpose and I have no complaints with both the service and support from the product owners. HS: Is there anything else you would like to say? When you look back now is there anything different you would have done? S: Apart from kicking my husband in the private parts! Seriously, everyone’s situation is different. Is installing a phone tracker an extreme measure? Probably yes – but it was driving me crazy not knowing. All I can say is than you to this website for the information they provide so it gives the reader a choice. At the end of the day it’s all you can ask.